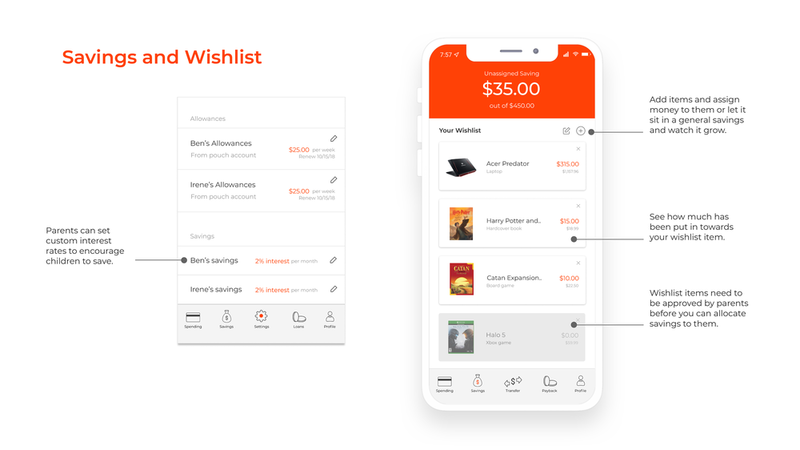 An app that provides parents an easy and effective way to teach money management to their children in the digital age. A personal project in collaboration with Candy Wang. 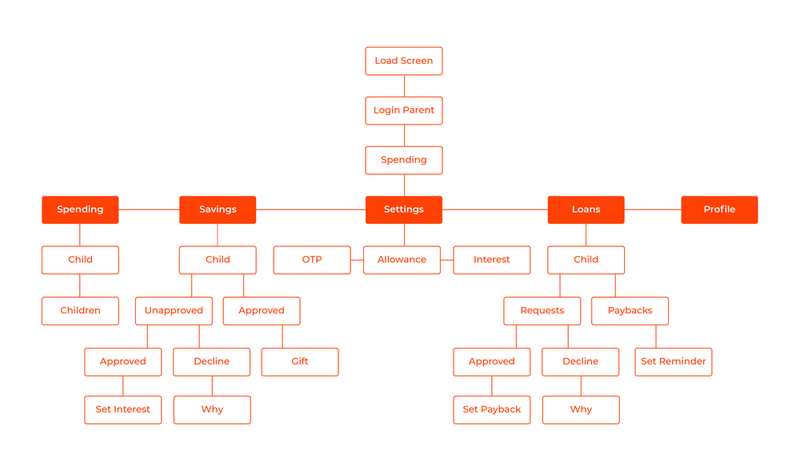 In order to outline our features and functions clearly, we built a user journey to understand the needs our product should be fulfilling. We began designing our product by sketching and thinking through the core features and how they weave together. Direct and clear information structures were a high priority so as to suit the young user group. We worked on multiple paper sketches throughout the whole process. It was a place where the two of us sorted out our disagreements to find the best solution for the app. 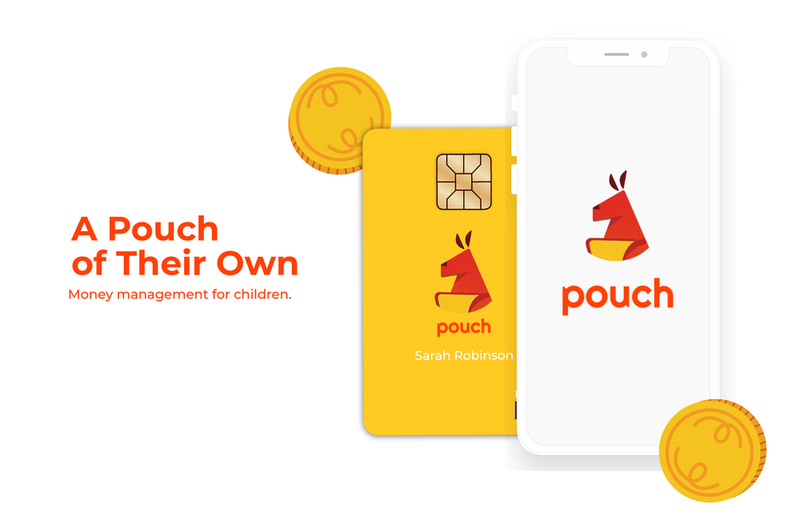 The final product is an app with a myriad of features that allow children to manage their allowances, save up, request loans and keep their credibility in check. All these actions remain dependent on some level of parental control in terms of the monetary values.